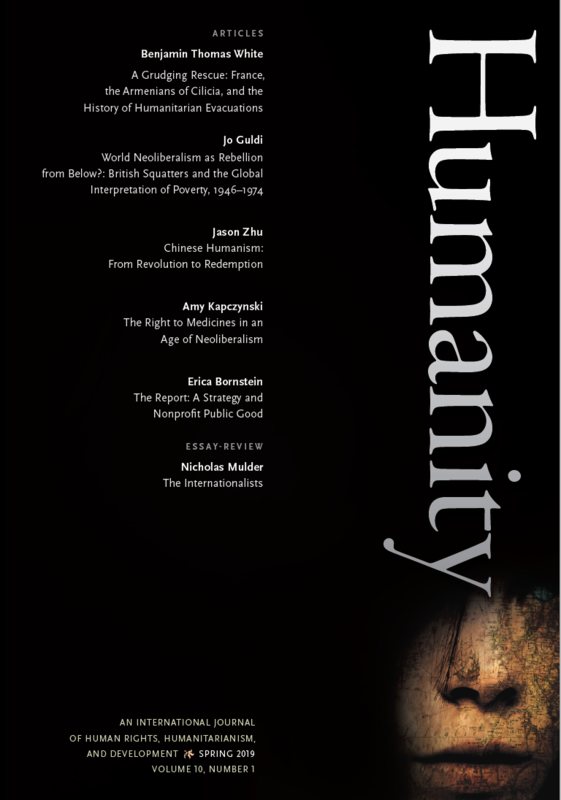 Humanity editorial board member Jan Eckel has organized a terrific symposium on human rights history for our new issue. We are grateful to Dr. Eckel for his generous assistance. The results include his own groundbreaking research on postwar American advocacy, as well as outstanding essays by Johannes Paulmann and Brad Simpson. 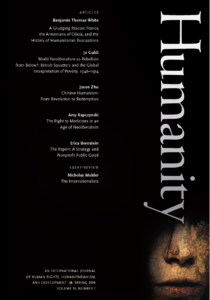 We have paired this with Robert Vitalis’s subversive and revisionist account of the Bandung conference, an insightful photo essay by Jens Meierhenrich and��Martha Lagace on post-genocide Rwanda, and incisive book reviews by Michael Latham on development and John Wallach on dignity.